Yesterday was the first anniversary of the death of Peter Ferdinand Drucker, “the father of modern management.” Here is a selection of inspirational quotations from one of the most influential management philosophers of modern era. For more details, please see my article “The Legacy of Peter Drucker“. The most serious mistakes are not being made as a result of wrong answers. The truly dangerous thing is asking the wrong question. We now accept the fact that learning is a lifelong process of keeping abreast of change. And the most pressing task is to teach people how to learn. 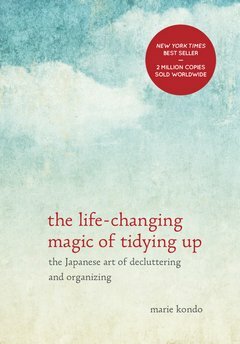 Japanese organizing consultant Marie Kondo's bestseller has elevated the domestic chore of cleaning up into a process of emancipation and self-discovery.